Why you simply can't afford not to jump on the visual content bandwagon! Why you simply can’t afford not to jump on the visual content bandwagon! It probably goes without saying, but ignoring the power of visual content for your social strategy is a big NO NO. Regardless of the industry, whether it’s B2B, B2C, topic or channel, standout visual content rules the roost. Ignore the trend and your social posts risk being drowned amongst the noise. Just take a look at the feeds of your personal social profiles. It is incredibly likely that video and imagery dominate. If your brand is not creating visually appealing social content to capture the hearts and minds of your audience, your competition definitely will be. Visual content can help to communicate your brand’s story and messaging, help to boost awareness, brand engagement, and it can be more effective in driving direct traffic to your website, compared to text-based content alone. It’s important to point out that images must not be thoughtlessly included within a social post, just for the sake of implementing a visual content strategy. Boring stock, catalogue-type imagery will not help to evoke an emotional response or brand connection, and will fail to deliver the value you’re looking for. After all, content shared alongside relevant images receive 94% more views than content without relevant images. Create customised visuals that reflect your brand and is unique to you, giving your content a point of differentiation amongst other social traffic. As implemented by most of the larger social platforms such as Twitter, Facebook and Instagram, algorithmic placement of social content has replaced chronological newsfeeds. What this means is social posts and the order they sit on a newsfeed is determined by an algorithm. And for brands, this has meant organic reach has become increasingly more difficult to achieve. Therefore, the best content that stands out and evokes reaction and engagement, will in turn, trigger reach. As humans, we’re hardwired to respond more to information displayed through visual formats – did you know that our brains process visuals an extraordinary 60,000X faster than text? And the reason for this is that information displayed as text, such as statements and statistics, can be more difficult for the brain to interpret. 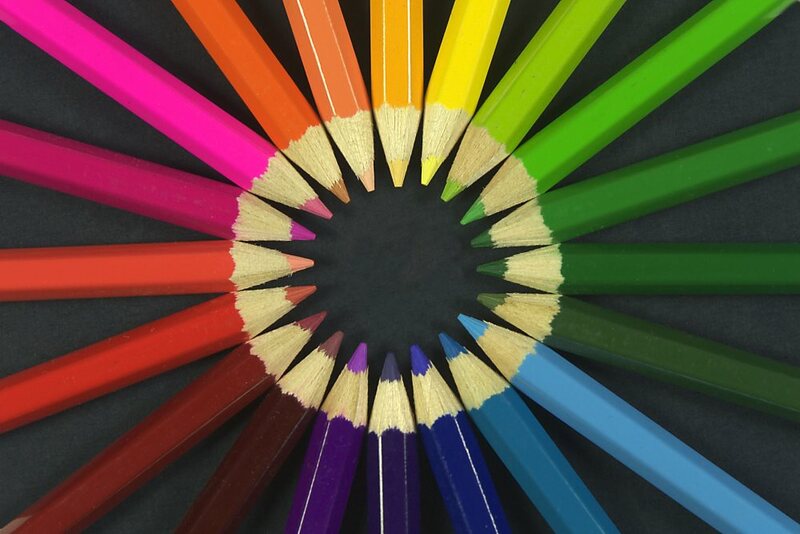 If that’s not enough fact to prove the need for visual content within your social strategy, researchers have discovered that coloured visuals help to capture the attention of your audience and their willingness to read a piece of content by a huge 80%. Hopefully we’ve given you enough numbers to get your teeth into, to evidence the value of visual social content. But if it’s not enough, simply measure your own campaigns and compare the volume of link clicks and engagement delivered with and without an image – we often report on this for our own clients – the results could very well be staggering.